It is a fact: People with the kind of knowledge discussed within this article get jobs and salaries for possessing the kind of information that it contains. Careers are blossoming in this new age trade of social media. Departments in trademark organizations older than World War II that were founded by old-fashioned businessmen are being staffed by millennial wizards with understanding of esoteric techniques beyond the simple retweet, upvote, like, love, share, or tumble. There is a hazy goal of capitalizing on the profit potential this recently arcane idea’s underside presents, but it takes years of repetitive, ambitious internet labors to learn the side streets and best local spots in such a sprouting setting, where the technology and industrial utility is sprinting through the arms of those trying to catch and pin it down for a moment’s use in one fiscal quarter or brief spotlight of quasi-artistic recognition. The truth is that social media is in its relative infancy. Were one to compare its level of development as an artistic and communicative medium to say, cinema, social media is still a nickelodeon. There is no degree yet one can earn in social media. There are no proper, up-to-date texts that analyze its techniques. So where do these skills come from? How are they being discovered, developed, turned into expertise? The accounts and their holders are digital figures more recognizable than most realize. A good many of them are followed by thousands, hundreds of thousands, millions of people. They’ve turned into marketing platforms unto themselves and hold cultural sway on their subscribers with creative wit and informational criticism alike. While social media continues to rely on other forms of media in its current manner, at least as a lead in to external sources of income for the account’s creators, the tactics and applications below will continue to be the organizational systems and software these managers and creators use to navigate this multi-faceted realm of platforms and accounts to find a solid root in the ground and soak up a little blessed gain from the old wells we are all familiar with. It’s the nature of those things which some consume and others create that once you become a full creator you don’t do it from the audience’s physical perspective, meaning that the successful and knowledgeable Tweeters don’t have to spend very much time physically on Twitter itself. Even the lenses are different on the other side of a camera, film looks different before it gets treated in a dark, black-lit room. But if you’re looking to step behind the scenes, as it were, here are the basic tools of the trade employed by the developers and creative minds behind your favorite, and the most successful accounts on social media. This is the re-formatted version of the classic technique regular users are most exposed to, because it is the basic, straightforward reach from creative account to consumer. On Twitter, the two forms of advertising consist of tweet promotion and account promotion, with the former running down your news feed as if you have actually followed the creator and are seeing the content with the rest of your subscribed posts, while the latter holds steadfast to the side of your screen. The major difference between the two lies in the type of advertising each employs. 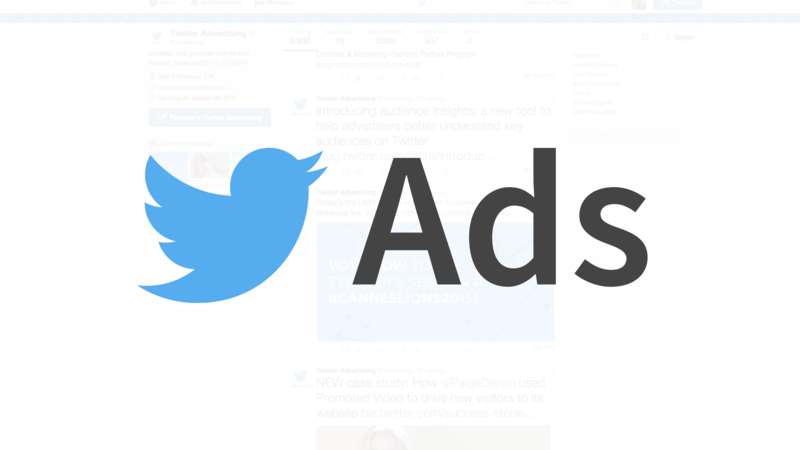 Sponsored accounts are similar to standard banner ads, while tweet focused campaigns are more akin to native advertising. Behind the scenes, accounts feed their budget directly into Twitter for this service through the website ads.Twitter.com, and you don’t have to be a business to do it. Any user can pay a small amount of money for the potential exposure this provides, but it certainly helps to have a purpose. Sponsored accounts raise awareness for the account itself, while sponsored tweets promote specific products or can drive traffic to an external website. This is often stage one for ambitious digital media socialites as they progress into the more functionally based, managerial techniques. The formula is simple: I follow you, you follow me, suddenly we each have one more follower, and the benefits those numbers bring belong to each of us. This is networking by numbers on a massive scale, networking on the principle only of networking, without any real interpersonal or necessarily profitable benefit. The advantages of Followback are specifically tailored to certain notions of social media that help certain kinds of accounts grow and benefit. There are innumerable personal accounts that engage in Followback on a small scale, others have managed to accrue larger followings than official organizations because of this technique. Entire online systems, free to use, are committed to automating a followback process by linking accounts that share usage of such sites, although this often includes more ghost accounts than authentic ones, forcing up those numbers for, at the very least, the appearance of popularity. A whole cultural overtone now influences the way social media operates. It’s a point of pride for individuals, and an unspoken agreement amongst businesses. 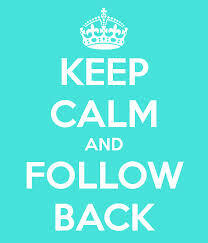 From a business standpoint, Followback is guaranteed to disseminate through a wider populace. A few thousand Followback followers will have regular users dispersed among them, the same with one’s own following, so are the hopes of each business justified that eventually one of these Followback associates with a few thousand of their own behind them might give a retweet or a mention and exposes a few thousand more people to the product. A secondary feed, these such applications are really just alternate organizers of the same information one receives from the host site, but as they are applications fit for browsers and phone home screens, once downloaded they contribute to a large portion of those making their exodus from the direct platform input and observation. Popular platforms such as Hootsuite, a corporate application, and the development of other such accredited versions incorporated into social media marketing management assert guarantees that using their services will up your productivity and media presence. Votigo, a social promotion software designed to lure new audiences with multi-platform integrated contests, even has the potential for hosting sweepstakes and the like. These custom browsers do much of the work in one place, and for the serious digital socialites they are veritable must haves. Modern businesses with competitive online presences will use such platforms, but many individuals begin their education in the trade secrets using the applications discussed below. One thing social media managers love as much as their systemized organization is free systemized organization. While most media management systems such as Hootsuite are not free to use, or have paid options, small time and penny-pinching accounts can effectively organize for free with systems such as Bufferapp. These applications provide regiment benefits, and are usually the basic platforms serious media socialites will begin to flock to as they leave operations from the actual media site itself. Presentation is a divine aspect of content production, so tools like Bufferapp help control and specify when and where certain pieces will be published, providing schedules both hourly and per diem, analytics, and easy publication of outside information discovered on external links with the click of a button. Here the process begins to streamline, and the grasp of managers is expanded beyond a limited newsfeed. For flexible planning and collaboration, paid advocacy platforms like Shoutlet provide multiple services for optimal social media publishing ambitions, but the smaller successful accounts focusing on a creative product rarely start anywhere with a fee. Here there are systems for allowing accounts to craft the illusion of unsolicited following. This is especially useful for Followback- style users. By keeping the relationships between those who faithfully play the agreed game, trimming the fat of casual clickers and the less invested, sites like Manageflitter prevent a common trick to Followback-style users utilized by the less engaged attention seekers. This trick, enacted by luring followers in with Followback technique only to rescind their own follow so as to keep their following number comparatively lower than their following number, helps give the impression of authentic popularity based off the examples set by celebrities, who rarely have nearly as many accounts that they follow as follow them. We at Connatix do not endorse this technique, but will inform you that as dishonest as it may be, it is done. But regardless of it efficacy, which is debatable, nobody wants to be on the receiving end of this treatment. Sites like Manageflitter identify those accounts where the following is not mutual, and severs those ties with a click. Even non-Followback managers make use of this in order to keep down any uneven number distribution. People retweet shared posts as much, if not more, than tweets they find for themselves, and are far more likely to retweet something with high numbers of the like validating it. For these such reasons, a voracious business model has cropped up in the past few years, exhibiting multiple faces and types but all expressly committed to the same goal, giving the appearance of online popularity. Different than standard ad tech, buying the image of success directly considers the importance of popularity on social media. Sites like Fiverr.com charge anywhere from a mere five dollars to outrageous celebrity shout out prices for an account with large amounts of followers to publish praise for the spender’s account, buying an image boost and potentially as many followers are convinced by the promoter’s praises. Some of these accounts are more reliable than others, as many themselves used unhelpful means to gain the following they now charge you for, but some, if you can stand the monstrous price tag, may be well worth the expense. The more direct, but less honest version of follower buying are the litany of constantly changing and replaced organizations like twamous.net, extolling their ability to make you “twitter famous” by actually exchanging money for followers. Most if not all of these are shell accounts, created as part of that overwhelming majority of Twitter accounts without human administrators committed to their sole upkeep, and instead designed for just such purposes. The numbers are real, but it’s a far more shallow pool than it appears at first glance. Taking a peek at any of these accounts immediately shatters the illusion, as they will rarely have many posts consisting of intelligible language, and will be following thousands of accounts with little to none following them in return. This is not to demean or diminish the value of these numbers at your back, only to elucidate the reality of what is being purchased.